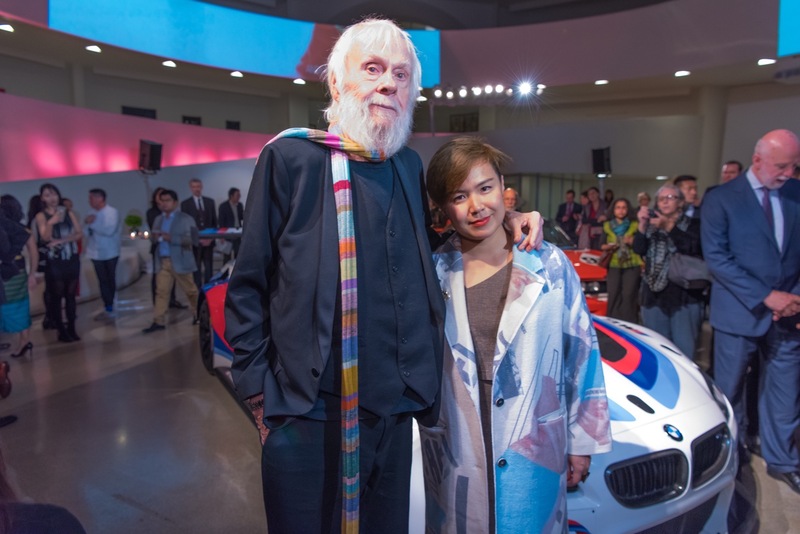 BMW’s Art Car history is a special one for fans of the Bavarian brand. 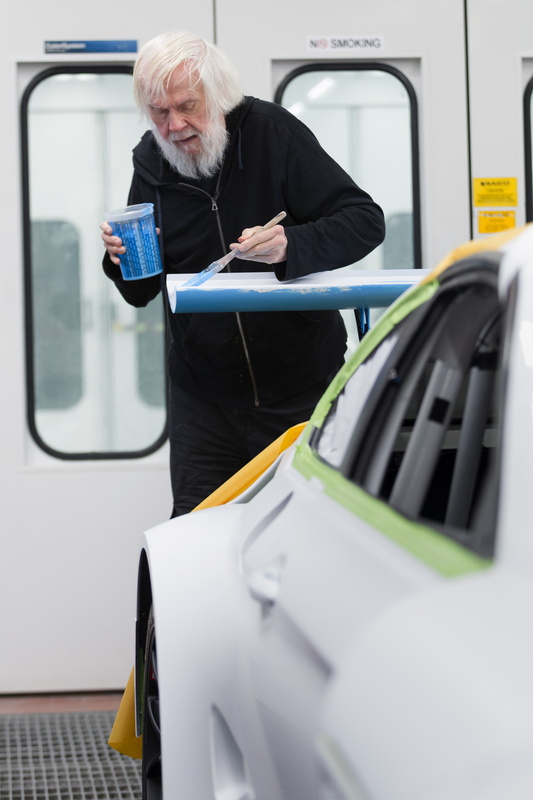 For forty years, BMW has hired famous artists to design and paint special BMWs. 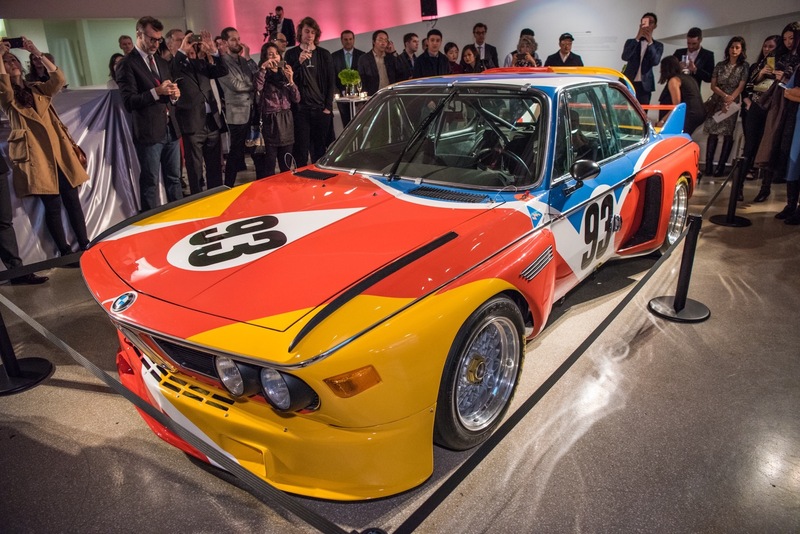 Some of the most famous BMW Art Cars were Alexander Calder’s BMW 3.0 CSL and Andy Warhol’s BMW M1 Group 4 racer. 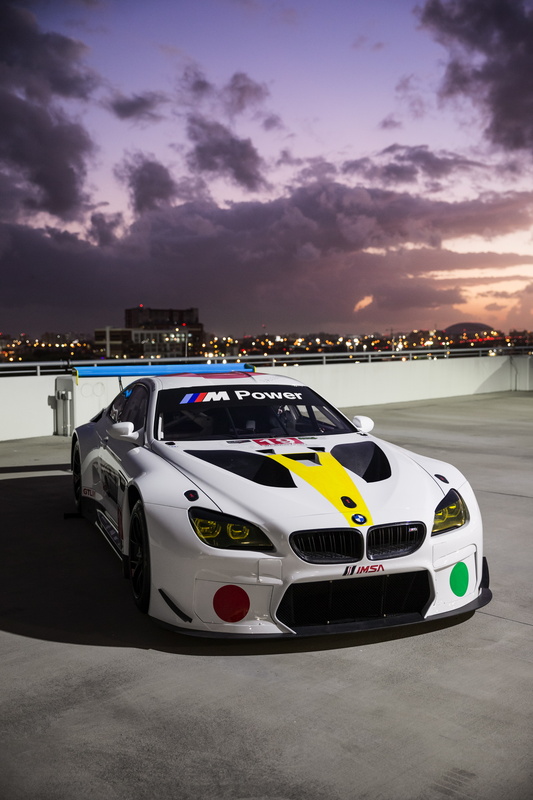 There have truly been some spectacular Art Cars in BMW’s history. Now, there will be another added to the collection. 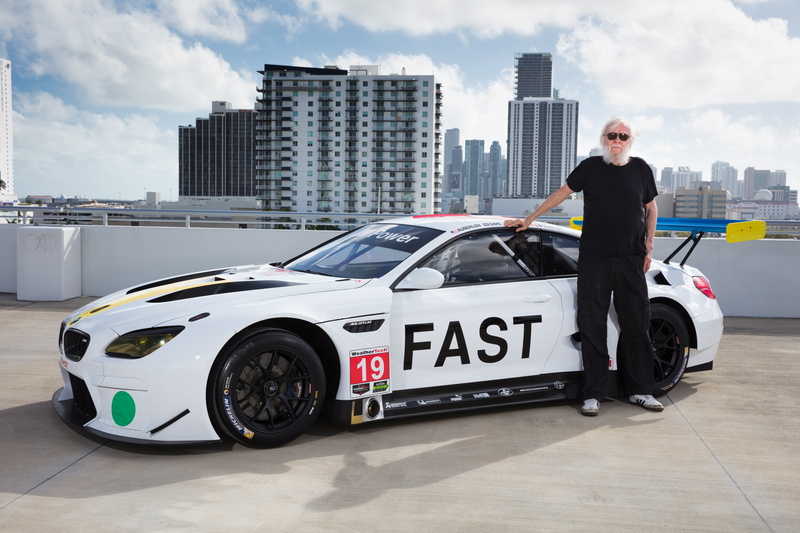 John Baldessari’s interpretation of the BMW M6 GT3 was recently unveiled in Miami Beach, with the aforementioned artist present, as well as BMW NA President and CEO Ludwig Willisch and Jens Marquardt, Director of BMW Motorsport. 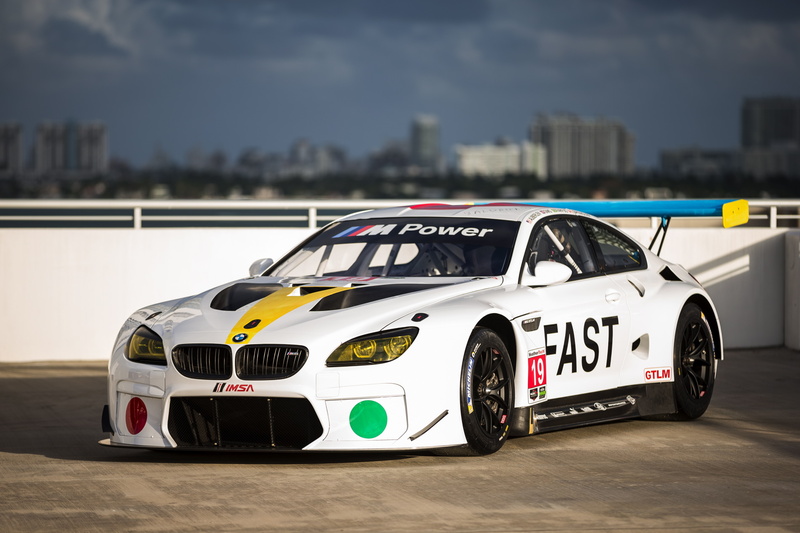 Baldessari is famously a minimalist and that’s evident in his M6 GT3 design. 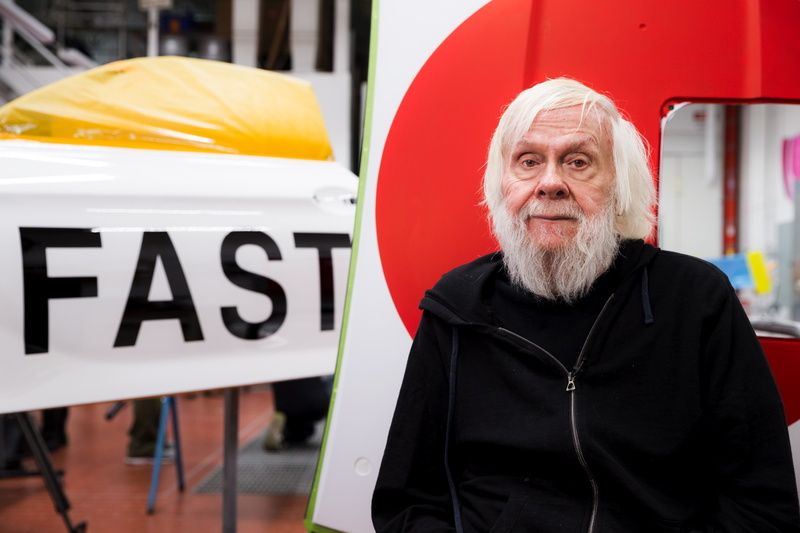 But he’s also quite conceptual in his art and he plays on the multi-dimensionality of the automobile by adding an image of the car on the door of the car in profile. 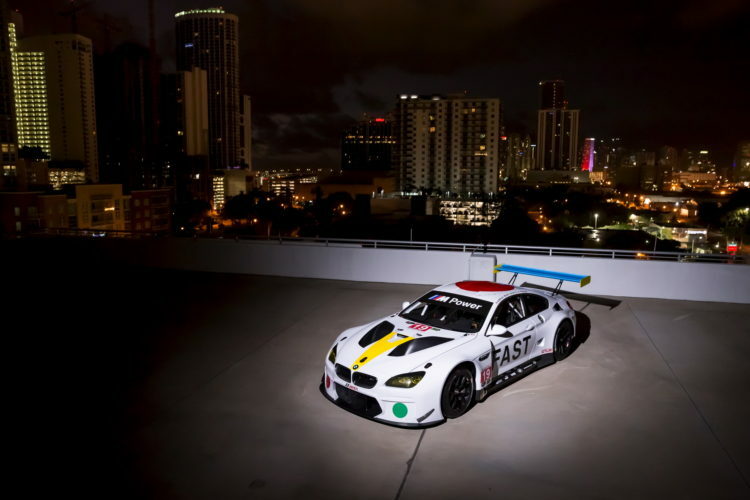 Baldessari’s M6 GT3 is one of the simpler and more minimalist BMW Art Cars in the brand’s history, but it’s certainly one of the better ones. 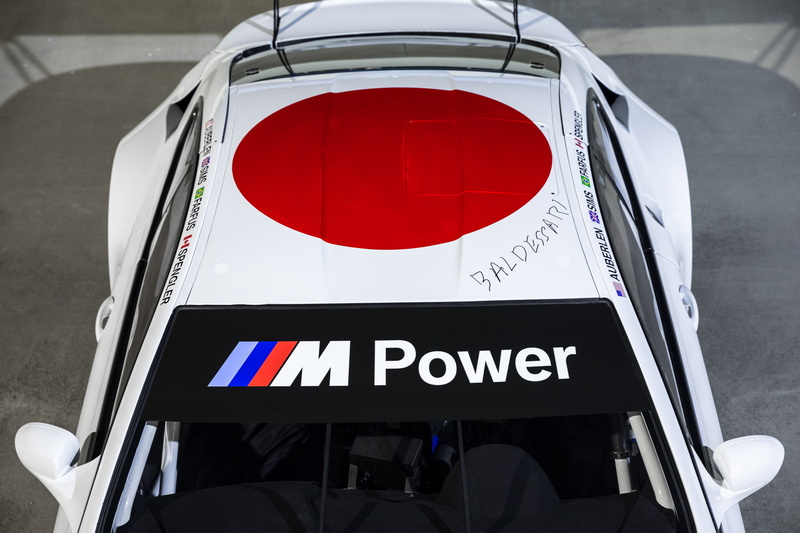 It helps that he had a great looking canvas to start with, but his design doesn’t take anything away from the functional beauty of the M6 GT3. If anything it enhances the functionality and simplistic beauty of the car. 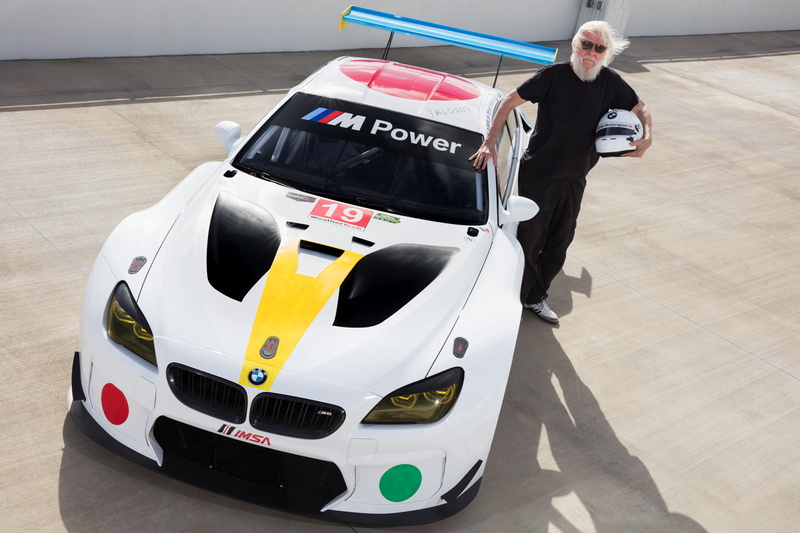 So while his work might not be the most exciting Art Car yet, it’s one of the better looking. 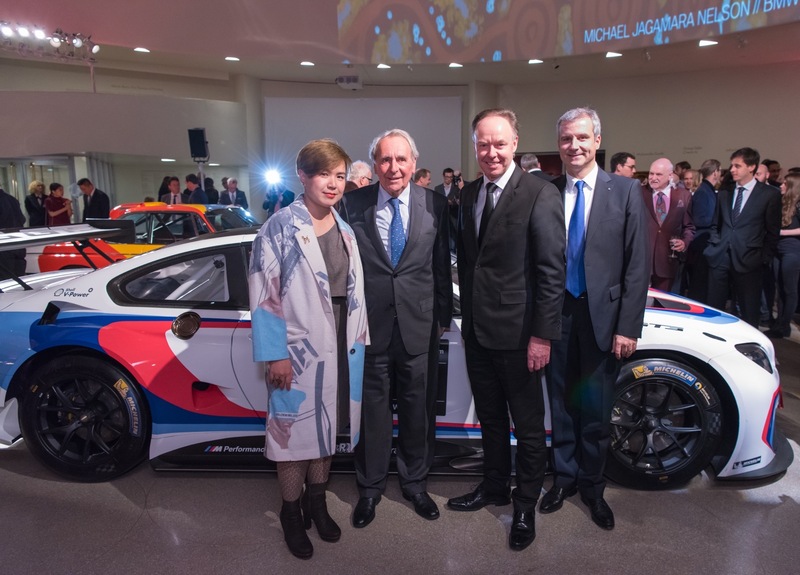 Good thing that he got to work on the M6 GT3. 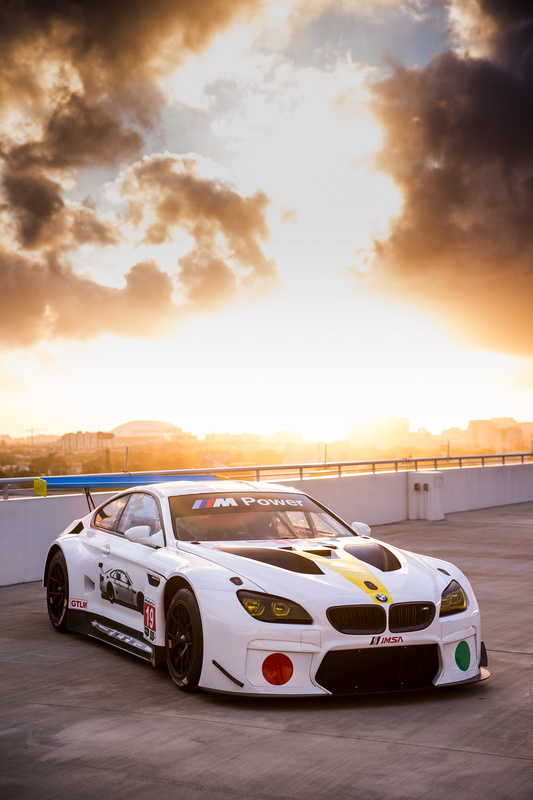 The car is so beautiful that i don’t mind the simplicity of his art at all. I don’t know art, but I know what I like.. and I don’t like this. Probably ranks in the bottom half of the list of Art Cars for me. 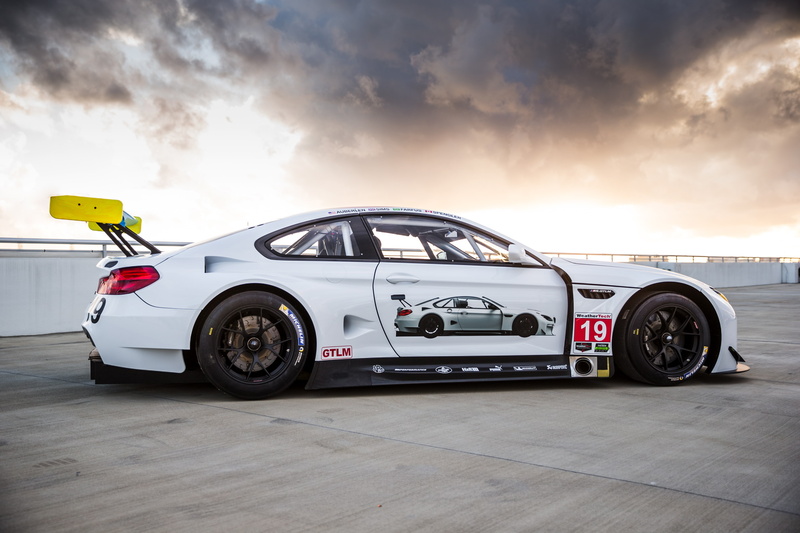 In this day and age of digitally printed vinyl wraps and massive sponsorship deals, it can be hard to get a livery to stand out or make a strong statement, but this just looks weak. 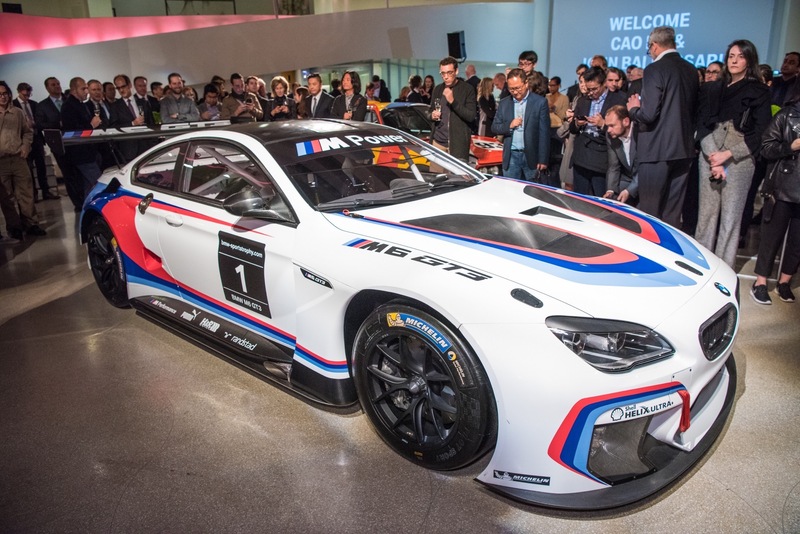 I see that this is getting a very negative feedback from BMW fans. I think people are missing the point: this is a tridimensional piece. Unlike most art cars the art isn’t just the livery, it’s the whole thing, the design blends in with the livery. I like the fact that it’s vibrant. 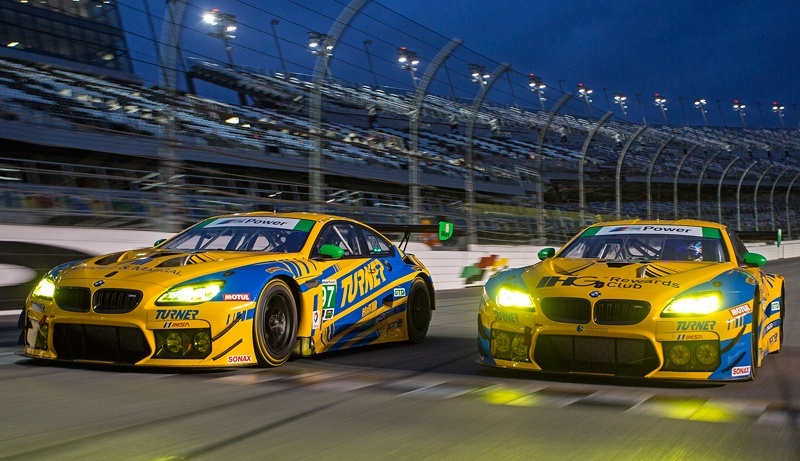 It’s straight forward: you have primary colors, FAST, the picture of the car… I feel like i could look at it for hours with a wtf face and not get bored, because the car looks good and you have these crypted messages. 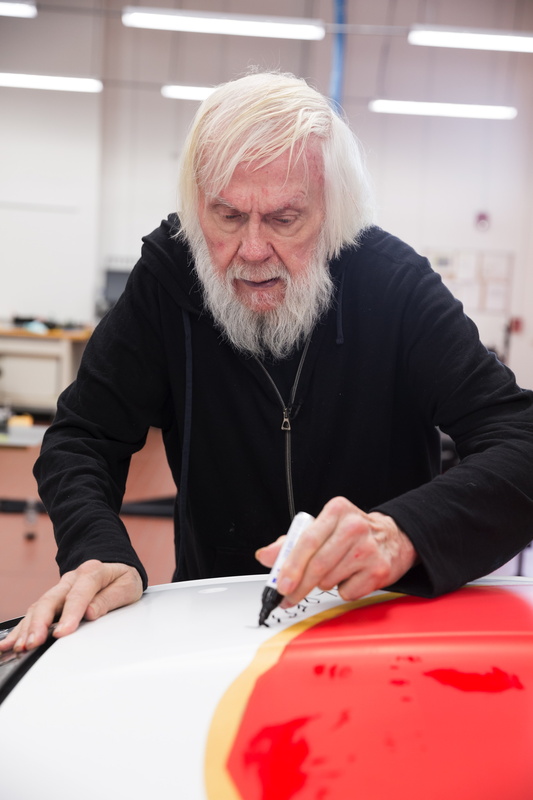 Looking at some of Baldessari’s other works I can see where the elements come from, however I don’t think they translate to an Art Car. 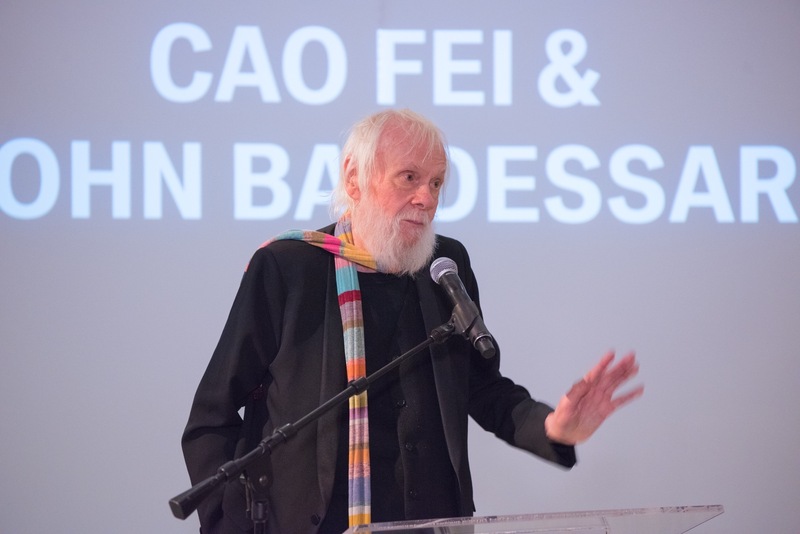 If you look at his works, in many he’s obscured the first visual cues people initially look for with bright coloured shapes, this leads the viewers eye and mind to look at the rest of the picture for clues to what they’re missing, and the context of the censored subject, in order to try and imagine what’s behind the bits we can’t see. Be it a face, or a leaping tiger. It’s an interesting technique that introduces strong colour, and contrast, and has the viewer paying much more interest to parts of the picture they may otherwise glance over quickly…. 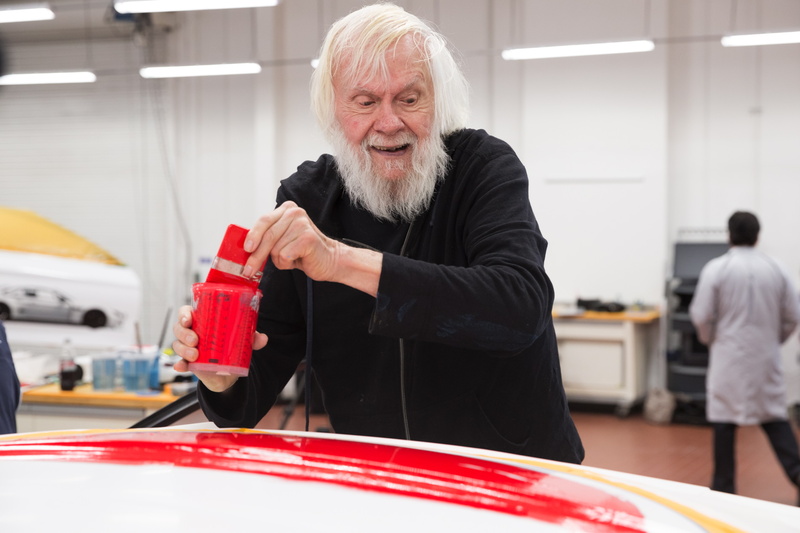 … however, the application of the coloured shapes on the artcar isn’t doing this, it’s not obscuring anything or hiding anything, it’s simply not the same visual mechanism… it’s just a nod to Baldessari’s other works… I’d be okay with that, but it is visually uninteresting to me, and this is compounded by the fact that various other M6 GT3 cars have fairly simply white-based liveries, and are more aesthetically pleasing. Yeah i see what you mean but it depends of his work though. This is pretty much a mashup of what you can see in his different oeuvres d’arts. For example, the “FAST” writing on the door echoes with the “Pure Beauty” painting he did, and is in the exact same spirit. Straight to the point. 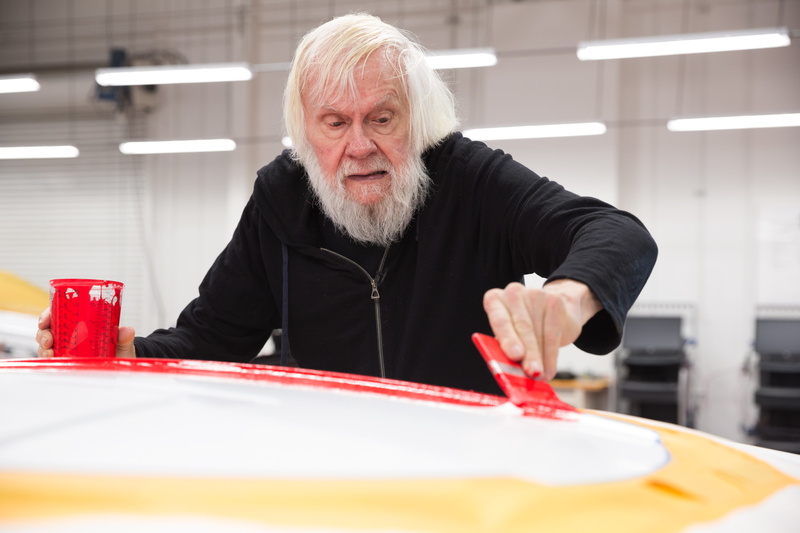 The fact that he painted the spoiler might pass as random but actually it’s the exact same thing as when he takes a regular photo and puts a primary color on one of the objects (for example the orage tiger). And depending on the angle, it strikes you in the same fashion. When you’re behind the car, this giant blue and yellow dinner table is right in your face, because in the environment it’s really vibrant. Keep in mind that this is a race car. Like it is, the Giant red dot on the roof seems a bit silly. But with the helicopter shots on the track, it does make the M6 disappear, because you end up with one giant red circle in the middle of the track (like he explains it). 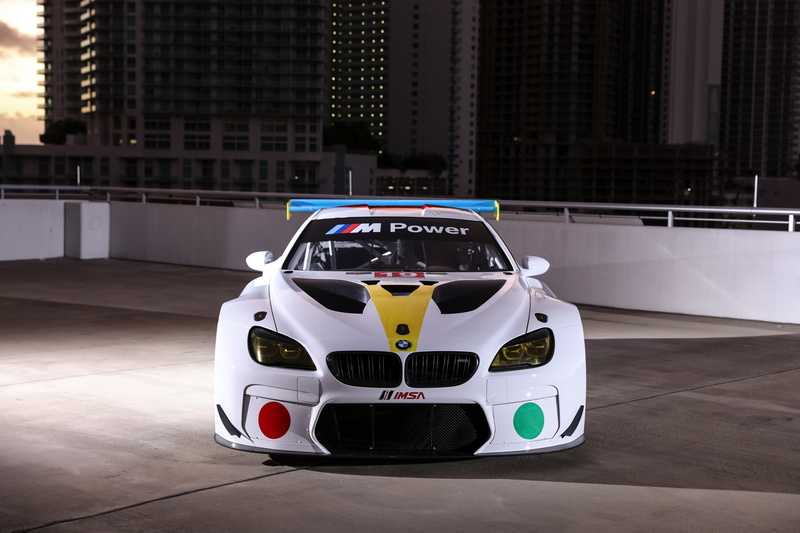 The other M6s with their race livery will blend in with the crowd, but this is different, in every angle. Front ? Primary green, yellow, red on a white background. Side ? 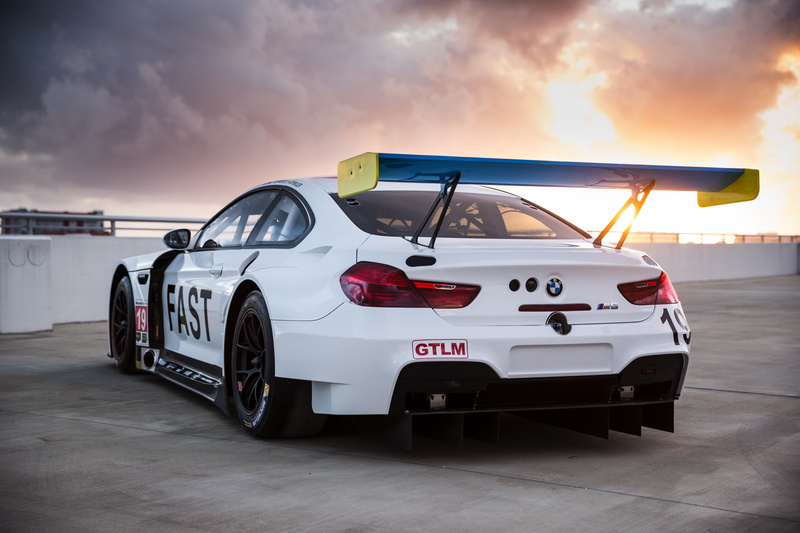 either FAST or the car on the car. Back ? Huge blue spoiler. Top ? Red Dot. 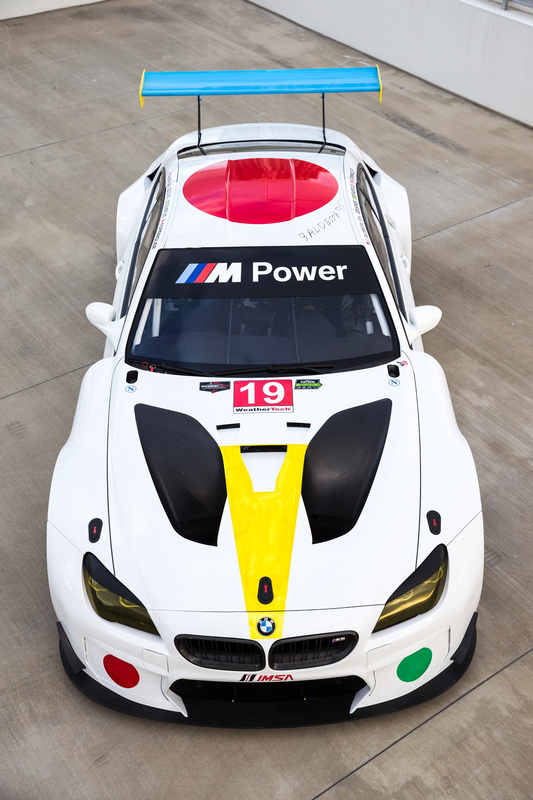 It all makes sense imo, this is a true Art car. I’m down with that, I think the connections to his other work are there, it just doesn’t strike me in a fashion that makes me think “oh, that’s good”.. but each to their own, this is art, after all. I have to say though… the wing looks more like it belongs on one of these.. 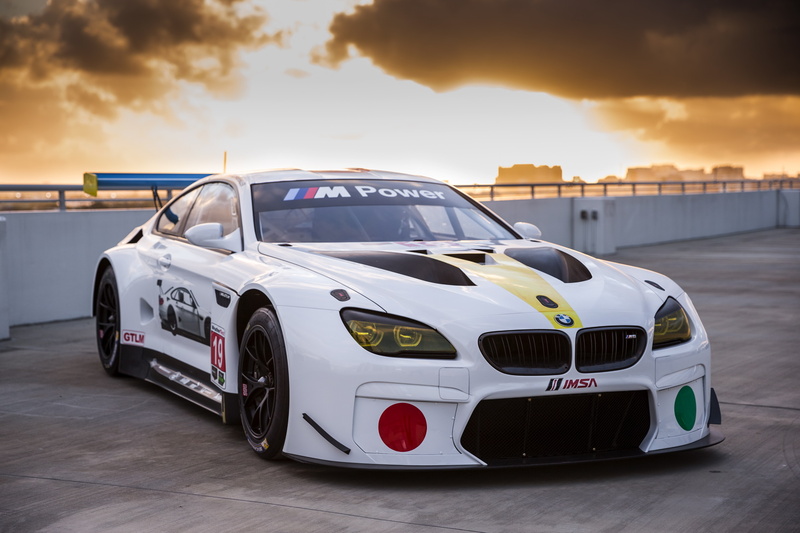 HOLD ON no one realized, but there will be another art car next year based on the M6 GT3. 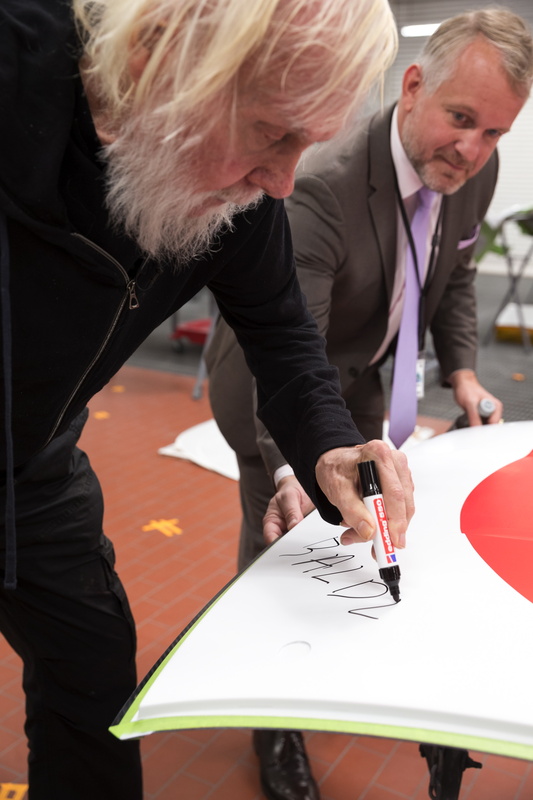 This is actually the 19th art car, the 18th has not been unveiled yet.. Wtf ?